YOUR LOGO. YOUR MESSAGE. LINK TO CONTACT. How will customers reach me? TRACK YOUR LEADS IN REAL TIME. 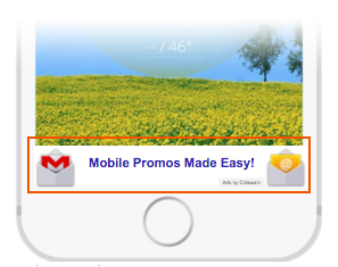 Cidewalk has unique access to smartphone advertising. As soon as you launch your ad, your business will start showing up on the top 1000 apps in your town - everything from news, radio, weather, sports to gaming, social, video, and communication apps.